I am feeling a bit emotional right now because my oldest is starting kindergarten this month. A part of me feels panicked. 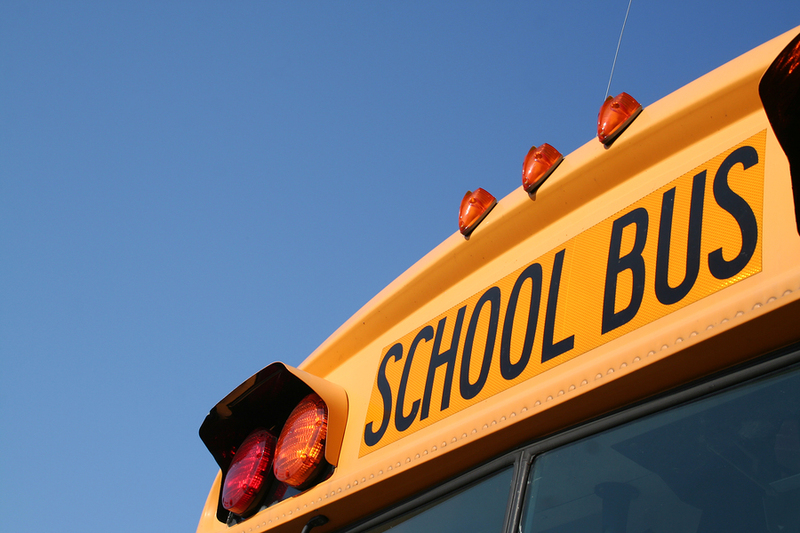 This starts a whole new era of “formal schooling” and it comes with a lot of different experiences, like going on the school bus. While writing in my journal, I uncovered why I feel so freaked out. I’m not worried about my daughter not being “ready” or mature enough. I’m not worried about her. I am more concerned about the peripheral stuff I cannot control or predict. I have been really vocal about my love of being a working mom (here’s my top 10 list), but I have heard more than once, “Oh be prepared for the guilt of not being room mom or being able to volunteer for school activities.” Well, I have an awesome work situation, so I’m sure I’ll be able to figure out a way to volunteer for something, but at the same time I don’t want to have a strong presence at my daughter’s school. She’s going to school to learn, get a little independence and establish her identity outside of the family unit. She’ll discover a new side of herself, and spread her wings (as much as half-day kindergarten can provide). Moreover, I have been on baby mode for over 6 years and now I see the opportunity to devote more energy towards my career. I will always cherish the baby years, but now I feel like I can focus on advancing my dreams and ambitions and they do not include participating in every aspect of my children’s lives, especially school <<GASP>>. The freedom offered by my kids starting traditional school is pretty sweet. The pressure is no longer on me to be their sole teacher; we have school for the book learnin’ now! I wish I could say I feel bad admitting I don’t want to be the uber-involved parent at school, but I really don’t. I am not looking at the PTA to become my new group of besties (I already have a strong core of amazing female friends in my life), I’m not even sure I want to be involved in any school-parent activity (yet). It’s just half-day kindergarten people! I don’t remember all this parent involvement when I was in elementary school, when did this change so much? Meh, I’m not going to worry about it and in the meantime, you probably won’t see me at the PTA meeting. Next article What kind of playground is this, anyway?